How do you earn 'Encourager Points'? Firstly, thank you for helping to get more people to experience how easy and enjoyable riding a bike can be! By getting more people riding, we make our communities, and our planet, healthier, happier, safer and enjoying all of the benefits that more people riding brings to our lives. 1) When people log their first ride during the Challenge manually on the Challenge website, they'll see a message asking them? "Who encouraged you to take part and ride for the Challenge? They'll enter your name, select it from the list of search results, and then the system will assign you encourager points! 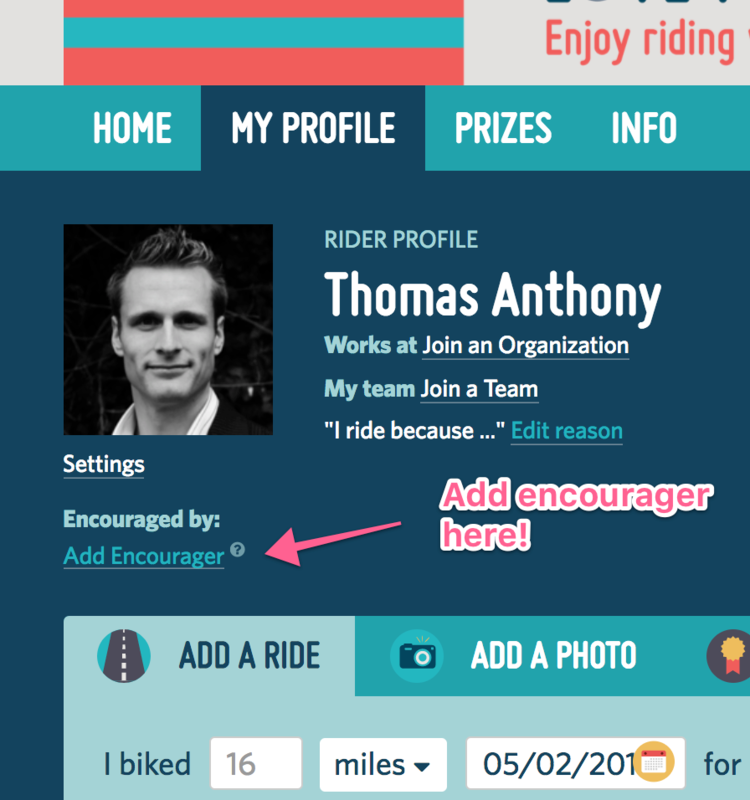 For people who normally log their rides with an app, they can go to their profile page and say who encouraged them.